Naoko's debut on Essen & Trinken, the most popular food magazine in Germany! 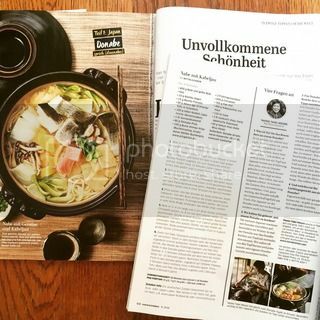 3-page article about donabe cooking and Naoko's interview about donabe cooking, cookbook, etc. Donabe is going international! 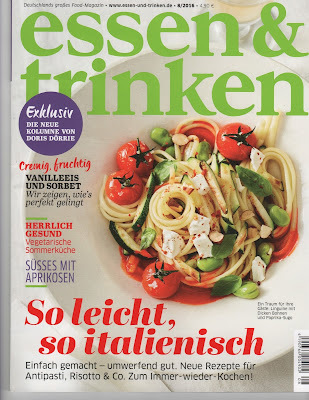 Unfortunately, I can't read German, so I don't understand the full article, but I'm sure it's a good article and I'm very happy!